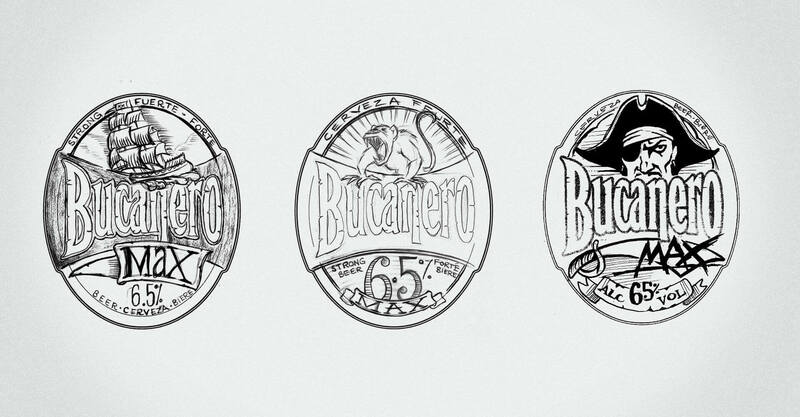 Cerveceria Bucanero S.A. (CBSA) is a Cuban brewery founded in 1988 in Holguin, Cuba, with head offices in Havana. It is home to a number of beers, including Mayabe, Bucanero, and the iconic Cuban beer, Cristal. CBSA has been a subsidiary of Anheuser-Busch InBev since 1997. 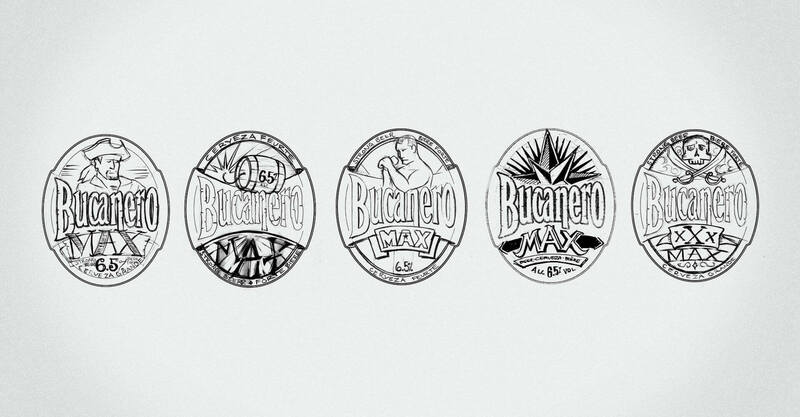 Looking to round out their portfolio of beers by introducing a premium priced, extra strength offering to the Cuban market, CBSA asked us to develop the logo and packaging for Bucanero Max, a lager with 6.5% alc./vol. The new brand would appeal to a testosterone-driven consumer seeking a badge of quality. 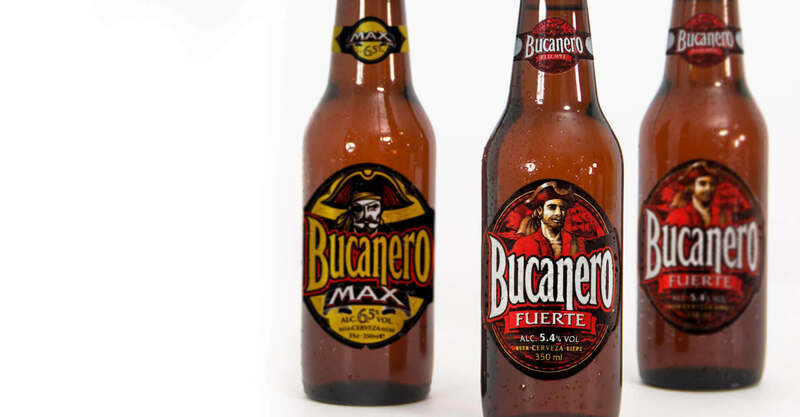 The challenge was to design a masculine brand that was a step above its brother brand, Bucanero Fuerte, which had already been positioned as a strong beer for “real men”. Using a colour palette of black and gold, Jump developed an identity for the Bucanero Max brand that was powerful, yet communicated a premium quality. 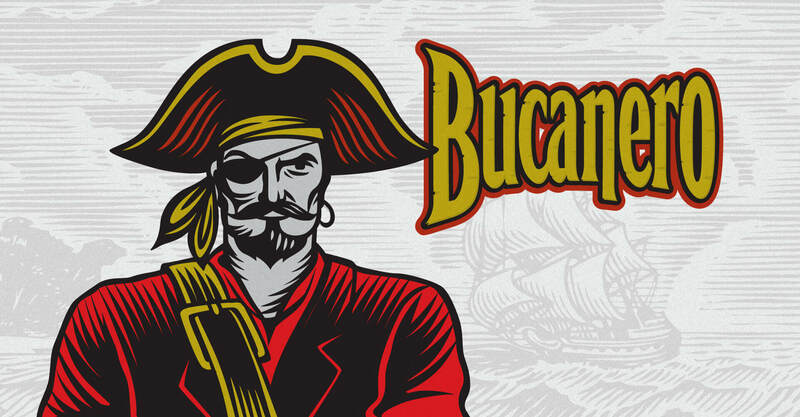 It retained the equity of the pirate associated with Bucanero Fuerte but in a version that was distinctly more aggressive. Translating this to print advertising brought about the creation of “Fuerza Maxima”, the campaign that featured bulging biceps emerging from the bottle in a style that mirrored the intricate detailing on the label. This combination was carried across all marketing material from magazine ads to delivery vehicles. 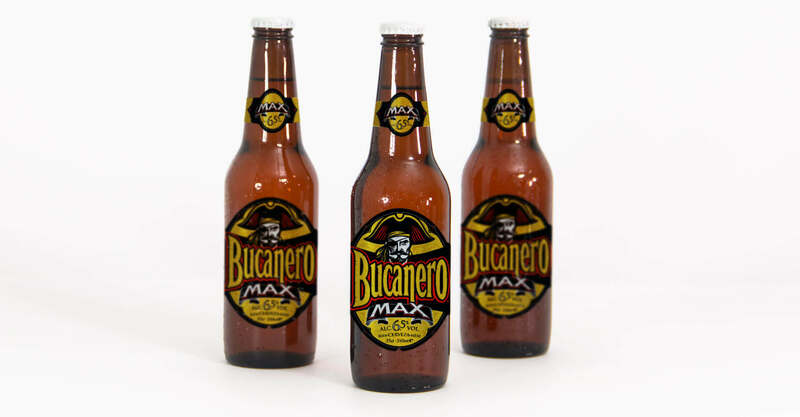 Bucanero Max immediately rose to become the top selling beer in the country in 2006, enabling Cerveceria Bucanero to command a premium price point, thereby increasing profit margin and gaining incremental volume. 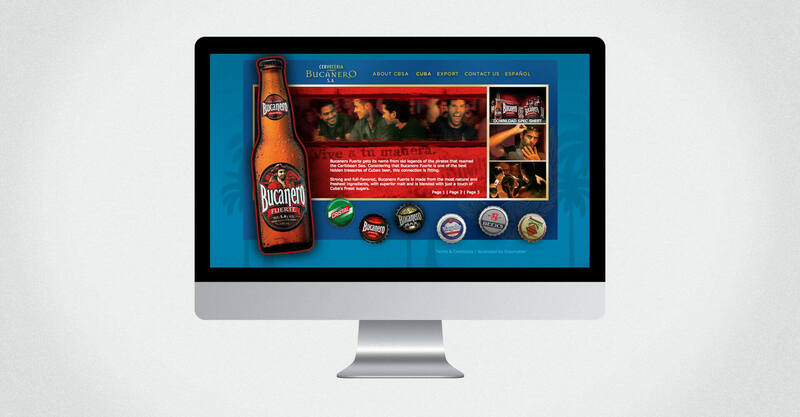 After designing packaging and marketing materials for Cristal and Bucanero Max, we were retained to design and develop the Cerveceria Bucanero website. 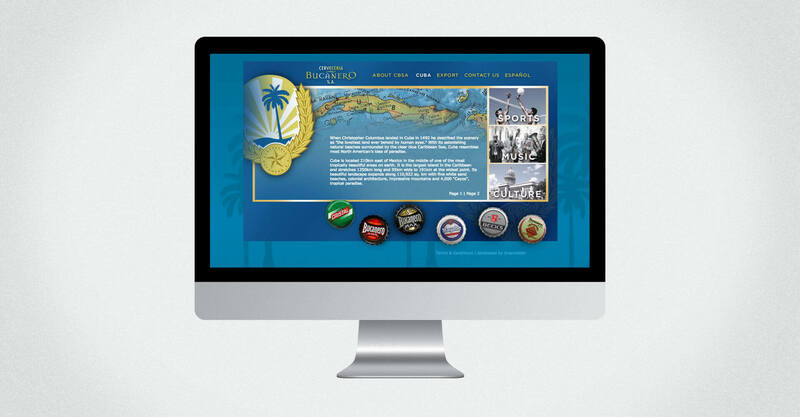 In order to cater to local Cuban consumers as well as vacationers looking for information on Cuban beers when back home, the site needed to be developed in both English and Spanish. The site design promotes the hospitality and lifestyle that is synonymous with Cuba. It embodies old world Cuba as well as a fresh contemporary Cuba that resonates with a younger demographic. Each of the brands that CBSA brews and distributes is featured on the site, and on each of their respective pages large format bottle photography positions the beer up front, promoting brand recognition. The Cerveceria Bucanero website was launched in January 2007. When CBSA came to us in 2005, the Cristal beer brand had been losing market share in Cuba for two years, due to an aging consumer base and stale brand image. CBSA needed a branded program for Cristal that would resonate with a younger audience and reinvigorate their flagship brand. 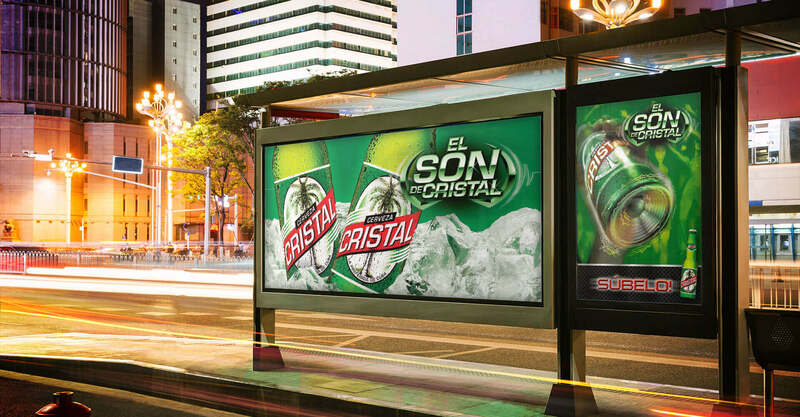 In an attempt to win back consumers, they created the El Son de Cristal concert series promotion for their flagship brand. It involved a nationwide battle of the bands competition with preliminary round concerts in each of the 14 provinces and the grand final taking place in Old Havana. We first developed a logo for the program that featured a distinct and sleek type treatment surrounded by graphics evocative of sound waves. We created the image of the Cristal beer bottle with the speaker in its base as the pillar of the campaign in order to bring energy to the brand, and to highlight the clear connection between Cristal and the sounds of Cuba. 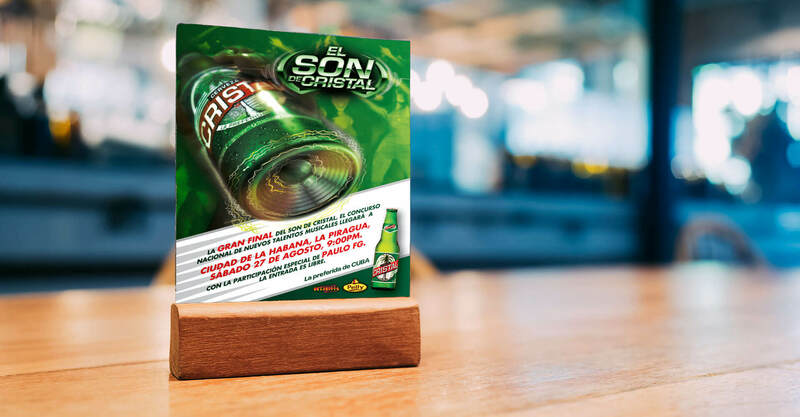 The El Son de Cristal brand was featured on all marketing material that we designed, including Cuba’s first ever promotional beer carton. The El Son de Cristal concert series was a great success, hosting over 20 concerts across the nation during the summer of 2005. The youthful energy of the promotion and its visuals provided a new, revitalized face for the Cristal beer brand.